iBiz Network Review 2019: Is iBiz Network a Good Hosting? iBiz Network is a long-established Thai hosting company. Its plans might not be ideal for beginners, but experts will be happy with the range of features provided for them. While iBiz Network legally began selling hosting in 2001, it had been in business unofficially for longer than that. Currently, this Bangkok company has more than 5,000 customers using its services, and its unappealing website is in Thai. iBiz Network co-locates its servers in Tier III data center: CS Loxinfo, Cyberworld, in Bangkok, Thailand. This center is ISO 27001 certified and offers an uptime SLA of 99.98% with a higher 99.99% uptime guarantee. 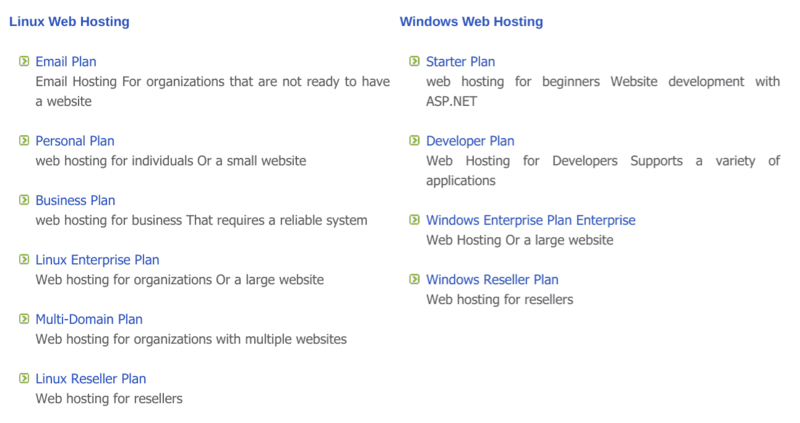 You can choose between Windows or Linux hosting plans, which are then further subdivided into resource tiers. There are lots of plans to choose from, each with its own web page, which makes the iBiz Network website hard to navigate and hard to compare the plans. All of the plans come with the standard features you’d expect from shared hosting packages, such as FTP accounts, MySQL / Microsoft SQL databases, and phpMyAdmin. The Linux plans support PHP version 7, whilst the Windows plans support ASP, ASP.NET, AJAX, and Crystal Report 12. Although advanced users are well catered for, the situation for beginner webmasters is less clear since the website doesn’t mention any one-click installer or website building tool. I did try to contact the company to clarify, but I received no reply, so I can’t confirm either way. iBiz Network’s prices are okay; certainly not the cheapest on the market, but only slightly more expensive than similar companies in Thailand and elsewhere. Domain names always cost extra, but you do get an SSL certificate. Plans can only be bought on one-year terms, which is quite a commitment, but you get a 15-day free trial, and a 30-day money-back guarantee to entice you in. Unusually for a shared hosting provider, you first need to create an account and then send payment by bank transfer. Your account will be created as soon as your payment has been received. 24/7 customer service can be accessed by email, telephone, and “Line” (which is a free video call and messaging app). My own customer service experience was not super. When I sent an email during regular business hours on a weekday, I received no response within 24 hours. Luckily, the iBiz Network website contains lots of tutorials and help documents to help you support yourself while waiting for customer service to reply (if at all). iBiz Network has been providing hosting since 2001, and now offers SSD-based hosting with a 99.99% uptime guarantee. Beginner tools are conspicuous by their absence, but all the expected expert-level features are included along with a choice of operating system. Wondering how iBiz Network stacks up against other Web Hosting companies? Enter any other Web Hosting company and we will give you a side-by-side comparison.